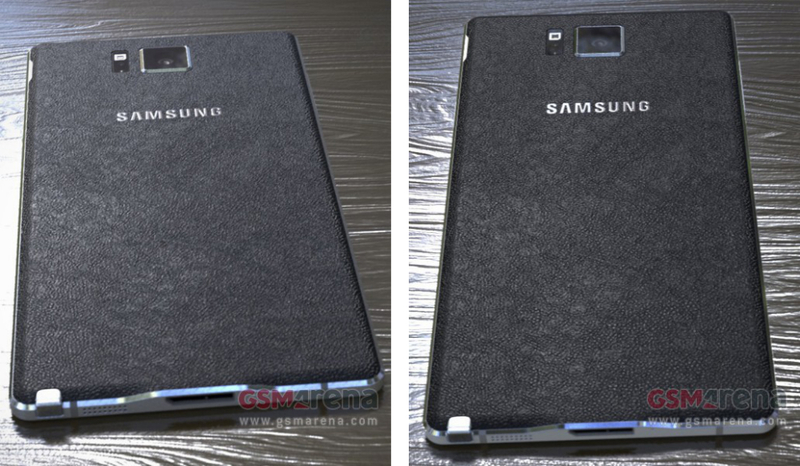 We could have our first look at the upcoming Galaxy Note 4 from Samsung thanks to a leak out of GSM Arena. The timing makes sense, as the device is scheduled to be announced only a few weeks from now on September 3 in Berlin, Germany during Samsung’s IFA event. Until now, we have only had a handful of hardware specifications, but now, we might have the whole picture. 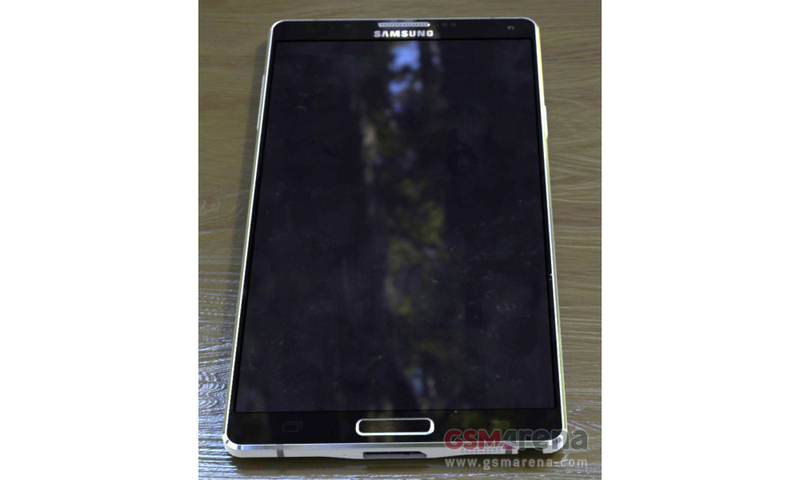 From what we can see in the photos, the device looks rather large, said to sport a 5.7″ display. While that is the same display size as last year’s Galaxy Note 3, the Galaxy Note 4 is reported (backed up by this leak) to feature a QHD display (2560 x 1440). The photos confirm a heart rate monitor on the phone’s backside, a stylus, home button on its frontside, a leather backplate, removable back, USB 3.0 port, and a bottom-facing speaker. Much like the rumored Galaxy Alpha, the Note 4 features chamfered edges wrapping the device. This could be a way for Samsung to cut down on the overall size-in-hand issue many might have with such a large device, but we won’t know until we have our hands on it at Samsung’s New York event on Sept. 3. Note cult members, what are you thinking? Digging this style? Hoping something different leaks?